Keep everyone in sync with Paw for Teams. Create a team, invite your team and everyone gets seamlessly the updates. And because we know how important it is to keep your work safe, everyone can work on a separate branch and merge changes only when ready; it's almost as powerful as Git and as smooth as real-time sync. Get one month free trial. No credit card required. Share your API projects in your team, invite people & everyone gets the updates. 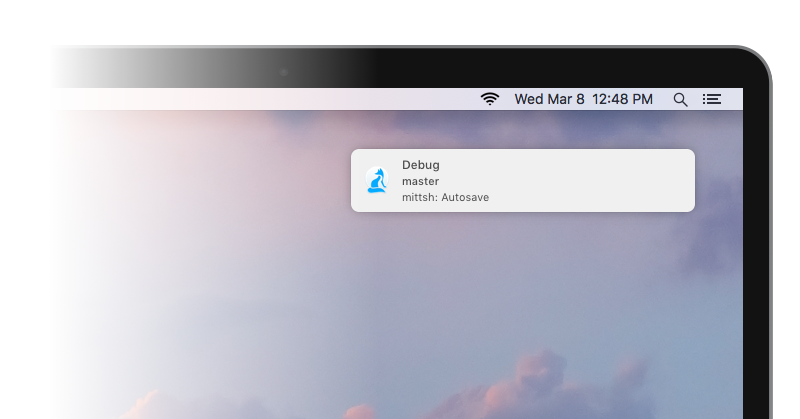 Easily create snapshots to easily rollback to previous versions of your Paw project. Keep your API projects safe, control who has access to your team & have one Paw license for everyone. Paw pushes your updates every minute to the cloud, and you can always see the current update status. 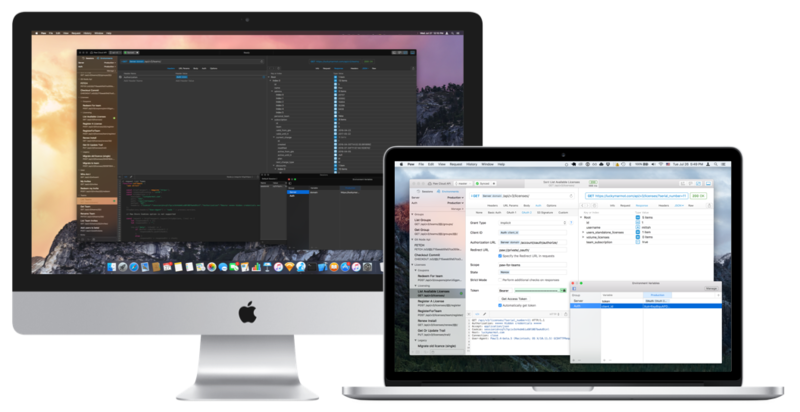 Manage different versions of your API, or let people in your team work on independent features at the same time. 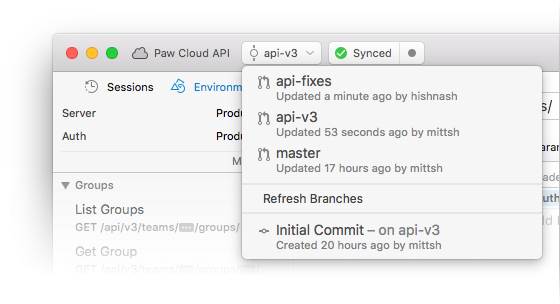 On Paw for Teams, all updates are pushed to a personal staging branch, so you are free to experiment with your API with no risk of disturbing others. Once you’re ready, you can push your changes to your team. If others have pushed updates too, you’ll be able to review the updates. You keep the control of what gets pushed and where. But when a teammate pushes updates, Paw will automatically pull the new changes or simply notify you (the behavior can be changed in the app’s Preferences). When working with APIs in production, you’ll often keep secrets and credentials in your test projects. Paw offers end-to-end encryption so no one but your team will get access to these sensitive data. Also, Paw Cloud encrypts again all your data, and everything is stored in the highly secure Amazon Web Services public cloud. Try one month for free. Invite as many team members as you want. No credit card required.